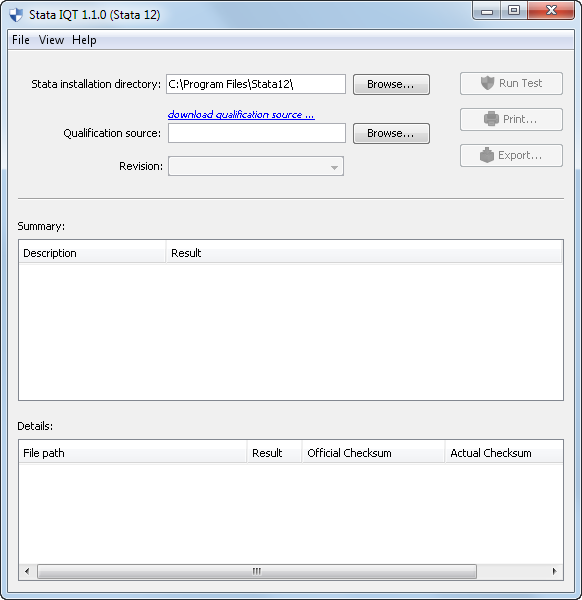 Updates to the Installation Qualification Tool (IQT) were introduced in Stata 12. See the latest version of the IQT. See more about the IQT features. Installation Qualification (IQ) is provided by a tool you can download for free. The Installation Qualification Tool produces a report suitable for submission to regulatory agencies, such as the FDA, verifying that Stata has been installed properly. The report can be printed or saved as a PDF. Read more about the Installation Qualification Tool and download it here.